How to choose the ski equipment for a children ? How to choose the size of the child skis ? To help you choose a suitable ski size for your child, SKIMAX gives you some tips. If the size of the skis is important so that the practice of skiing remains a pleasure, we remind you that the helmet is essential for your child ski safely and is protected. We advise you to rent a ski 15cm below the size of your child, about to author of the chin of your child. We recommend that you rent a junior ski 10cm below the size of the skier, at eye level. 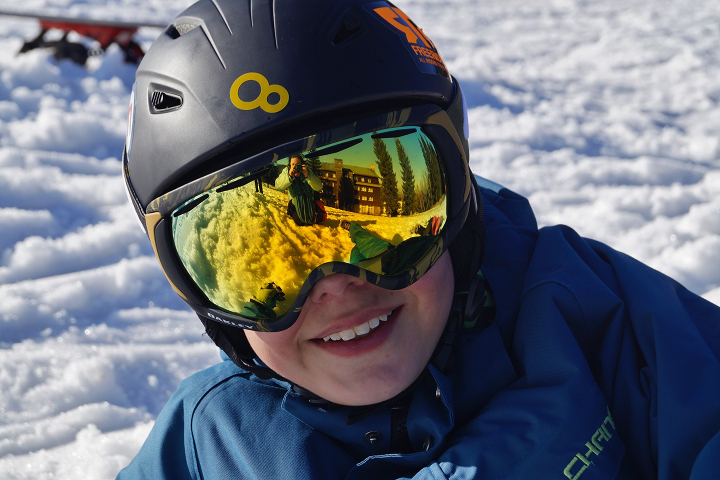 If your child has complete control of his skis and is comfortable on all types of trails, we advise you to select a junior ski rental at his size. WARNING ! These tips are for informational purposes, when you rent your ski boots on www.skimax-argentiere.com you must indicate the actual size of your child. We take care of selecting the shoe size that is suitable for his foot. For the sake of professionalism we adjust in store and in your kind company the choice of the most suitable equipment. Choose the child ski boots ? In order to help you in the rental of your ski equipment for a child of beginner level, Skimax advise you to choose ski boots 2 sizes above his size, so that your child is as comfortable as possible. For a intermediate level skier, we recommend that you rent ski boots 1 size above your size, for more precision and comfort. For a confirmed skier we advise you to take a size of shoe adjusted to his size to bring him the necessary precision to a young champion. Choosing the child ski helmet ? The table below will allow you to choose a size of helmet adapted to your head for maximum comfort and safety. We recommend using a seamstress meter (flexible) in cm to measure the circumference of your child. WARNING ! These tips are for informational purposes, when you rent your ski boots on www.skimax-argentiere.com you must indicate the actual size of your child. We take care of selecting the shoe size that is suitable for his foot.